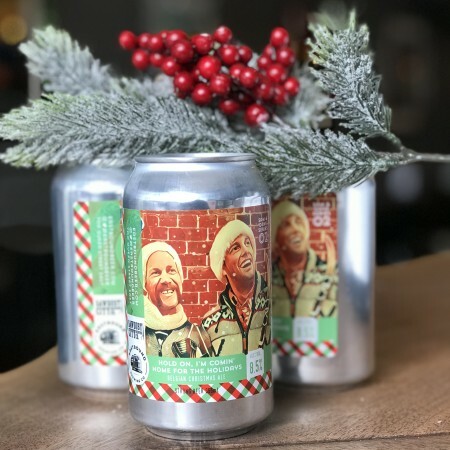 TORONTO, ON – Sawdust City Brewing and Eastbound Brewing have announced the release of their second annual holiday collaboration beer. Also new this year, a batch of the beer was brewed at both locations, with the Eastbound version retaining the original name, while the Sawdust City version has been dubbed Can’t You Find Another Way To Come Home For The Holidays. The Eastbound-brewed edition will launched at the brewpub today (November 29th) during a Feastbound Christmas Dinner where both Sam and Dave will be in attendance. For more details and tickets, see the Eventbrite listing. The Sawdust City edition will be available soon on tap and in cans at the Sawdust Saloon in Gravenhurst.